Brilliant!! A must-read. LOVED the twist. When I first read the synopsis of this book I was completely hooked. You know Gabriel was shot and killed by his wife Alicia but what would lead her to commit such a violent act? Alicia, once a renowned artist, has not spoken since that night six years before. 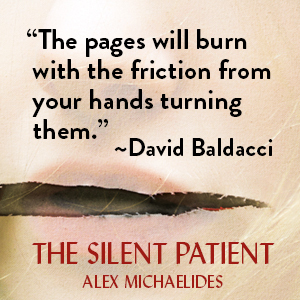 Why has she become the silent patient? This story was absolutely gripping!! I was lucky enough to win an advanced audio set of CD’s from Macmillan Audio and I was literally listening at every chance I could get. The story begins with a prologue that is part of Alicia’s diary but launches right in to the Grove, the psychiatric hospital where Alicia has been committed. The story is composed of short chapters which lead to the building of suspense. 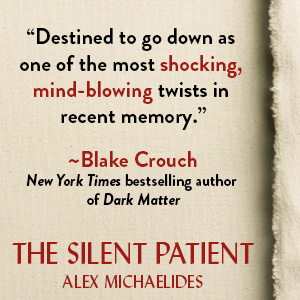 I was fascinated by the ambitious Theo Faber, a psychotherapist who becomes Alicia’s therapist. He is certain he can get her to speak. Besides being a smart and engaging thriller, the story was also a fascinating study of psychology and the politics surrounding a large psychiatric facility. Theo was to me, a very likeable protagonist even though I felt that me might not be 100% trustworthy. The audio book narrator did a fantastic job with Theo’s character and made me completely engrossed in the story line. Theo employed some highly unorthodox methods to explore Alicia’s background to try and uncover clues about her, but I felt that he was really only looking out for her best interests. More and more details emerge about Alicia’s past and we learn more and more about Theo’s background as well. The story was incredibly engaging and had so many twists that I was literally gasping out loud. I don’t want to give any plot twists away but the ending was OMG! I was NOT expecting that ending. I can usually guess the ending of a book but I was WAY off on this one! I had to go back a listen again to certain parts of the audio book to make sure I hadn’t missed anything. There were a few clues along the way, but not at all what I expected. I usually use a lot of quotes in my reviews but it is very difficult to use quotes here without giving too much away. Suffice it to say that I thought the ending to this book was just perfect. 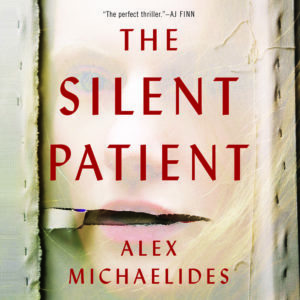 Congratulations to Alex Michaelides on this brilliant debut. I cannot wait for his next book! (With thanks to Macmillan Audio for the audio CD’s).